Making the most out of your visit to Madrid should also include a day trip, if possible. During any of the following trips, you will get the opportunity to experience even more of the rich culture that Spain has to offer. These destinations are suitable for all ages and can often include many additional activities to partake in, aside from the normal sightseeing. 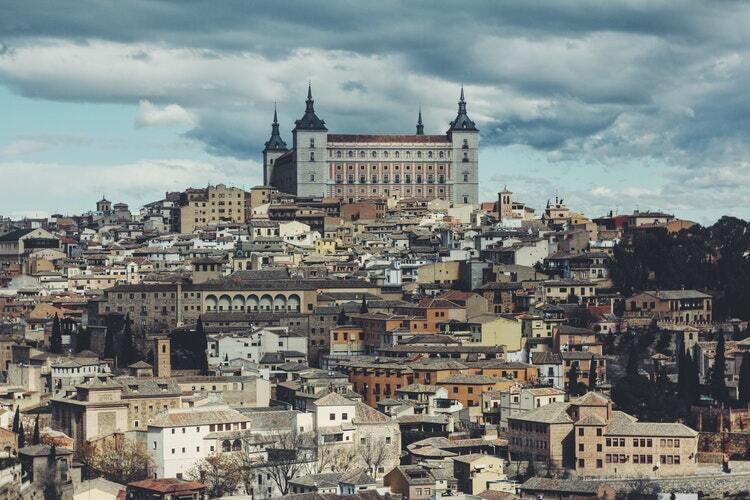 Toledo, Spain – Located an hour southwest of Madrid, this ancient city is situated on a hill above the Castilla-La Mancha plains. There are beautiful cathedrals, and monasteries that can be seen here, dating all the way back to the 13th-16th centuries. The sights are beautiful all around, plenty of ancient ruins present for viewing. Segovia, Spain – This historic city is located just northwest of Madrid. They are well known for their rich, Gothic architecture. You will find beautiful, medieval walls, a former royal palace, and an ancient Roman aqueduct. 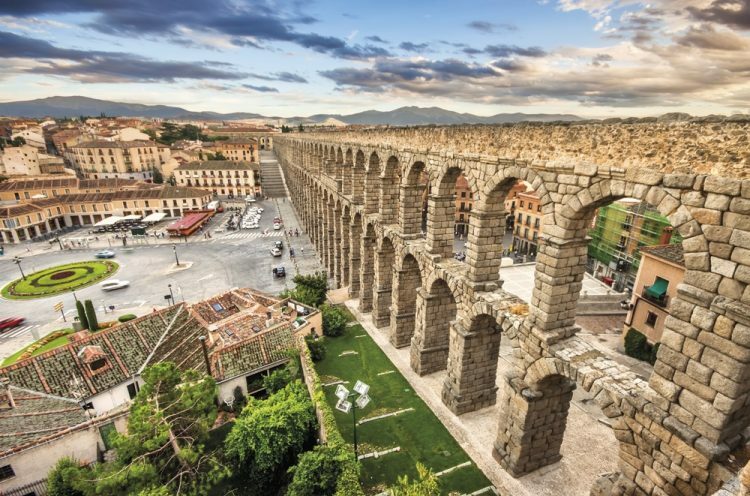 While taking a stroll through Segovia, you will never run out of amazing sights to see. When you need to take a breather, stop by the Old City for a traditional meal. Avila, Spain – This beautiful city is located in rolling hill country, just northwest of Madrid. Here, you can find in-tact medieval walls, a feature that the city is best known for. Witnessing the walls lit up by night is also an amazing sight. You can browse through Barrio Judio (Jewish Quarter), an area that was home to a flourishing Jewish community during the Middle Ages. It is now filled with shops and restaurants, paved with cobblestone streets. Cuenca, Spain – This mountainous city is a sight to see! The streets are steep and made of cobblestone. Many of the buildings appear to be hanging off the edges of Cuenca’s steep cliffs. It is home to the San Pablo Bridge, only to be crossed by the brave. If you would like to stick to traditions, take a visit to the Plaza Mayor de Cuenca, the city’s main square. It is lined with colorful buildings and ample food and shopping options. Salamanca, Spain – The history of this city dates back to the Celtic era. Salamanca was a major hub of intellectual communication back in the 15th and 16th centuries. Noted for its university, the students are diverse in nationality. Salamanca is responsible for up to 16% of the teaching of the Spanish language, which is why many international students choose to attend university here. The views are amazing, and the cathedrals beaming with history, some dating all the way back to the 12th century! Whether you have come to Spain for business or for leisure, there are so many great places to explore just outside the borders of Madrid.